Adam Bosch, Director of Public Affairs for the New York City Department of Environmental Protection (DEP), will discuss how the DEP operates, maintains, and protects the largest municipal water supply in the United States. 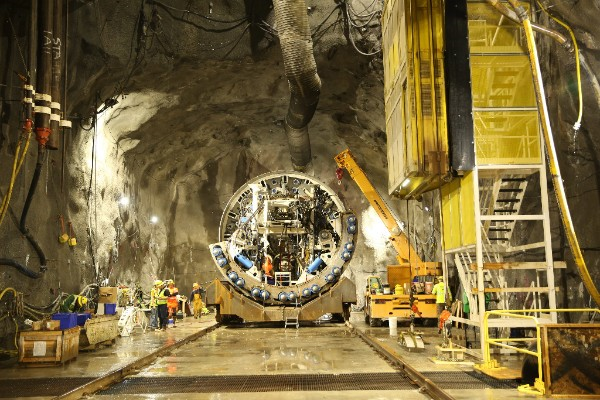 The talk will also include a special look at the $1 billion Delaware Aqueduct Bypass Tunnel project, the largest repair in the 176-year history of the City's water supply. As director of public affairs, Adam is charged with broadly sharing information about the City's water supply with members of the public, local journalists, elected officials, and through education programs. Before joining DEP in 2012, Adam was a journalist in New York for more than a decade. His reporting earned five Associated Press awards for investigative reporting, breaking news coverage and public service.